Harnessing the "Power of Unified IT"
Ivanti is headquartered just outside Salt Lake City, in an area of the United States that the New York Times recently called “the next Silicon Valley.” Ivanti is expanding its corporate office space into a new building that will be completed in early 2020. Employing over 1,700 people, Ivanti IT software is used by 78 of the Fortune 100. Enterprise IT departments use Ivanti to marry their ITSM, IT asset management, IT security, endpoint management, and supply chain capabilities. Ivanti’s mission is clear—to help our customers succeed through the Power of Unified IT. While our headquarters is in the U.S., half of our employees and customers are outside the country. We have 36 offices in 23 nations, with significant offices in London, Frankfurt, Paris, Sydney, Shanghai, Singapore, and other major cities around the world. 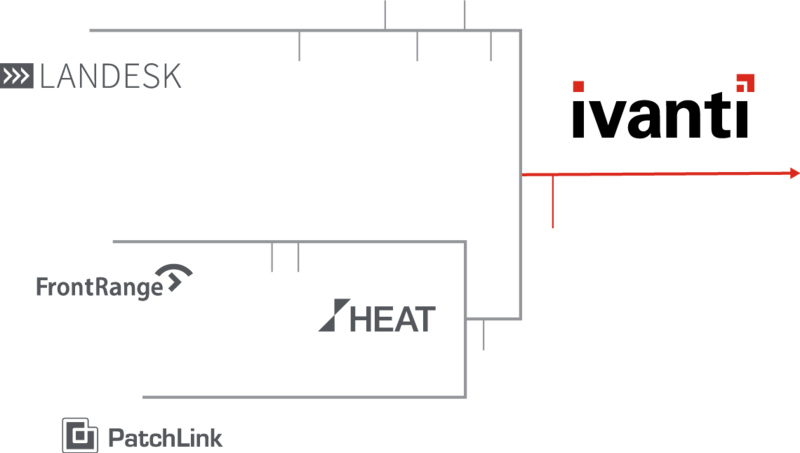 In January 2017, LANDESK and HEAT Software combined to form Ivanti. Previously, LANDESK had acquired such companies as Wavelink, Shavlik, and most recently, AppSense. HEAT had been created by combining FrontRange and Lumension. Since Ivanti was formed, we’ve also brought RES on board. Each addition to our family has brought improvements in our abilities to provide recognized IT services, supply chain management, and data security. 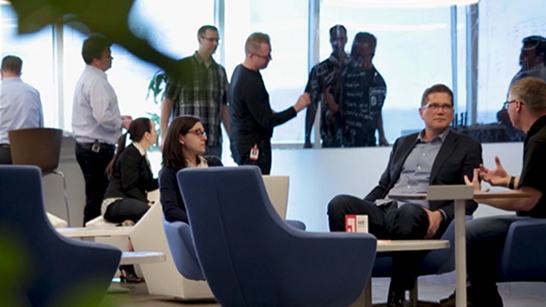 One of the greatest things about all these companies coming together is that we have a remarkably varied employee culture and loyal base of customers from different backgrounds who produce and use Ivanti products. It’s a big, diverse, and thriving family. Established as LANSystems, LANDESK pioneers the IT systems management category and merges with HEAT Software to form Ivanti. A leader in security and endpoint protection platforms, Lumension merged with FrontRange in 2015 to create HEAT Software. Acquired by LANDESK in 2012, Wavelink offers mobile-enabling solutions that boost supply chain efficiency and productivity. LANDESK acquires the VMware Protect product family, Shavlik’s agentless patch management and network security technologies. Acquired by LANDESK in 2015, Xtraction real-time dashboard reports deliver IT business intelligence for smarter decisions. LANDESK acquires AppSense, a leader in management solutions for secure, optimized user-workspace environments. FrontRange and Lumension, leading providers of ITSM and unified endpoint management solutions, merge to become HEAT Software. Ivanti acquires Concorde to help IT understand complex enterprise products from Oracle, Microsoft, VMware, IBM, etc. Founded in 1999, the Dutch company became a market leader in user workspace management and was acquired by Ivanti in 2017. 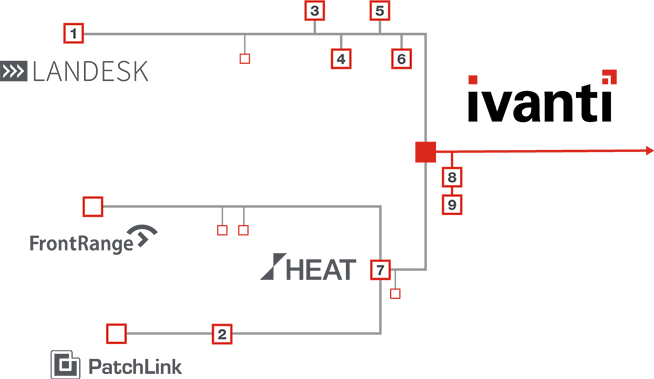 Offers its HEAT customer service and support solution and merges with Lumension in February 2015 to create HEAT Software. Founded as High Tech Software, renamed PatchLink and ultimately Lumension. Merges with FrontRange to creat HEAT Software. Acquired in 2007, UK-based Touchpaper extends and strengthens the LANDESK Service Desk service management portfolio. FrontRange acquires Germany-based Enteo, a developer of market-leading PC lifecycle and Citrix management solutions. FrontRange acquires Centennial and its network inventory, software asset management, and endpoint security solutions. HEAT acquires the Absolute Manage client management and Absolute Service ITSM solutions from Absolute Software. Clearlake Capital acquires IT systems management trailblazer LANDESK and combines it with HEAT Software to form Ivanti.